Mark My Word is the first game released by Hook Studios. Mark My Word is a different type of word game that allows players to play whole OR partial words. 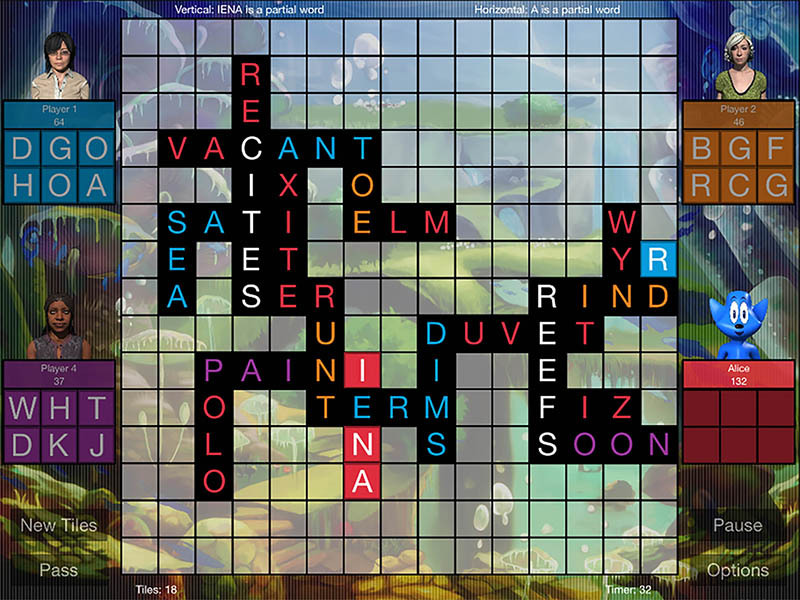 Points are awarded for each letter depending upon which player placed the tile and which player completed the word. The longer the word, the more points each letter is worth. We hope you enjoy this game. Well that's enough about us. What about you? What games make you smile? Think? Share? Strategize? We want to know. After all games aren't much fun unless someone actually enjoys playing them. We are always looking for feedback and suggestions on how to evolve our games into a better experience. Optimizations to options, rules, characters, sound, scoring... it's all up to you. We are always striving to make products that you, the customer, will love. Since your time is valuable and your tastes can change, we hope to constantly adapt and improve our products so that it becomes, and stays, part of your regular entertainment routine. We really do want to hear from you and would love to hear what would make our products better and more enjoyable - whether it is a way to improve the rules, options or gameplay or perhaps reporting an annoying bug that we missed (sorry about those). Our goal is to make the game play like it was designed by, and for, you and your friends. Copyright © Hook Studios. All rights reserved.